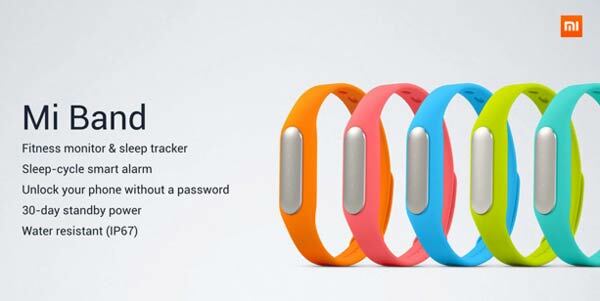 Chinese electronics firm Xiaomi has announced its first smart wearable. The device is a new fitness tracking band named Mi Band, priced ridiculously low at just $13 (£7.50), reports TheNextWeb. The wristband was introduced alongside the Mi 4 launch, the company’s latest flagship smartphone sporting a steel body and a 5-inch screen that offers resolution 17 per cent higher than Apple’s higher prices iPhone 5S. The Mi Band offers a 30 day battery life with a single charge, easily beating many of its rivals with fitness bands that tend to run for a week or less before needing to be recharged. It also doubles up as a security key for unlocking your smartphone automatically. Users can unlock their smartphones without a password by simply holding their smartphone in the same hand which is wearing the band, but the function is currently restricted to just Xiaomi’s smartphones Mi3 and Mi4. The simple fitness band connects to your smartphone and monitors your movements (both walking and running) and even your sleeping pattern. The wearable also works as a discrete smart vibrating alarm clock and vibrates and wakes the user when they hit the shallowest part of their sleep-cycle. Scoring a grade of IP67 on the waterproof resistance scale, the Mi Band will be suitable to wear in the shower. The smart band also features an aluminium surface and skin-friend wristband material, and supports LED notification for calls and messages. International availability has yet to be disclosed, but the smart band will likely to debut in China shortly.